While DC has seen an incredible amount of new construction and a quickly growing millennial population over the last decade, there are more established areas of the city that are seeing a revival of their own. In the upper NW corner of the city, Van Ness has been the location of choice for many of DC’s long time residents, but thanks to a boom in new business and neighborhood events, Van Ness is currently gaining recognition among area newcomers as well. For anyone unfamiliar with the area situated north of Cleveland Park and south of Chevy Chase, Van Ness sits adjacent to Rock Creek Park and gives residents the perfect balance between leafy suburbs and bustling metropolis. 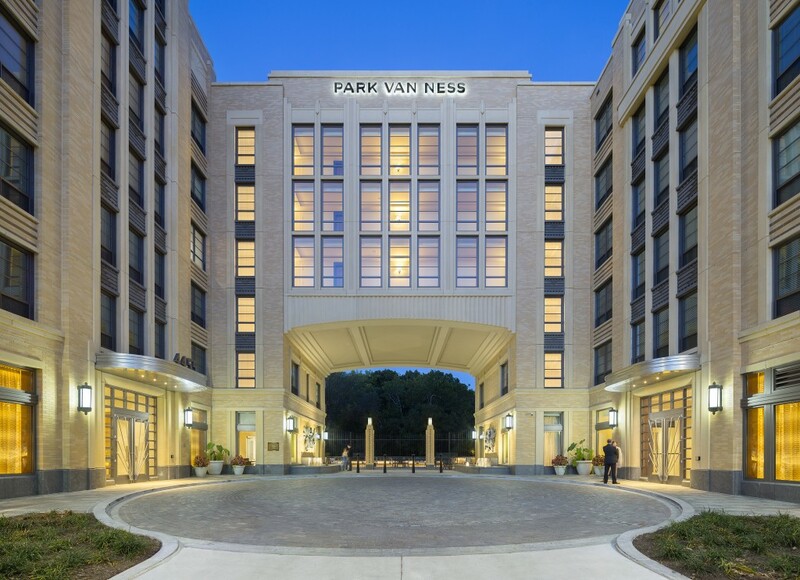 Residents of Park Van Ness Apartments and surrounding properties get all the benefits of living in the big city. The community is lively and bustling. There are plenty of restaurants, a large grocery store, popular neighborhood gym, easy metro accessibility, and buses galore. Just a short walk down the street, locals have access to a movie theater, schools, markets, and shops. There is unbeatable convenience to living in the heart of everything, but sometimes city life can be a tad overwhelming. Luckily, Van Ness offers an escape from more typical city life with lush, green parkland and a bit of distance between the hustle and bustle of downtown. Like the nearby neighborhoods of Cleveland Park, Woodley Park, and Tenleytown, Van Ness requires just a short metro ride along the redline to the center of the capital city. While plenty of transportation is available in DC, such as buses, Uber, Lyft, taxis, and bike and scooter options, the metro is one of the quickest and most efficient ways to beat traffic and get around town. In the last couple months, wifi was added to a number of stations so the commute to work is slightly more enjoyable. While owning a car can be nice for moving around the city, the Van Ness / UDC metro stop makes it optional rather than a necessity. In Van Ness, no matter where you choose to live, there’s something for everyone. Some of the most popular spots to visit in the area are housed within the Park Van Ness property. Don’t miss Sfoglina and Soapstone Market, two very different dining options, with an equally inviting feel. Of course, if you’re in the mood for something sweet, the pastries and baked goods across the street at the James Beard Award Winning cafe, Bread Furst, are among the very best in the city. The Van Ness Farmers Market has become increasingly popular over the last couple years and there are regularly pop-up events and neighborhood happenings to look forward to! Learn more about what’s happening in the neighborhood from Van Ness Main Street — an association formed by the District to support local businesses and revitalize the area. If you’re interested in living in one of DC’s most beautiful neighborhoods, don’t rule out Van Ness. There’s truly something for everyone here. Contact us to learn more!